When I chose the name “Firehorse”, it’s fair to say that I agonised far too much over my choice. Ironically, I knew from the very start that it really was the only name that resonated with me at all and yet I procrastinated for weeks, unable to quite take the plunge. So why all the indecision? The word ‘Firehorse” can be so very emotive – just try saying it to yourself and you’ll see what I mean. A short Google search unearths everything from confronting images of horses galloping through flames to to the fire horses of Chinese astrology – an uneasy balance of courage, strength and creativity mixed with the possibility of outspoken destructiveness, especially (and somewhat unfairly) in women. So I weighed all this up when I chose the name and, in the end, spent far too long dwelling on what everyone else might think of it instead of trusting the name that was etched in my heart. 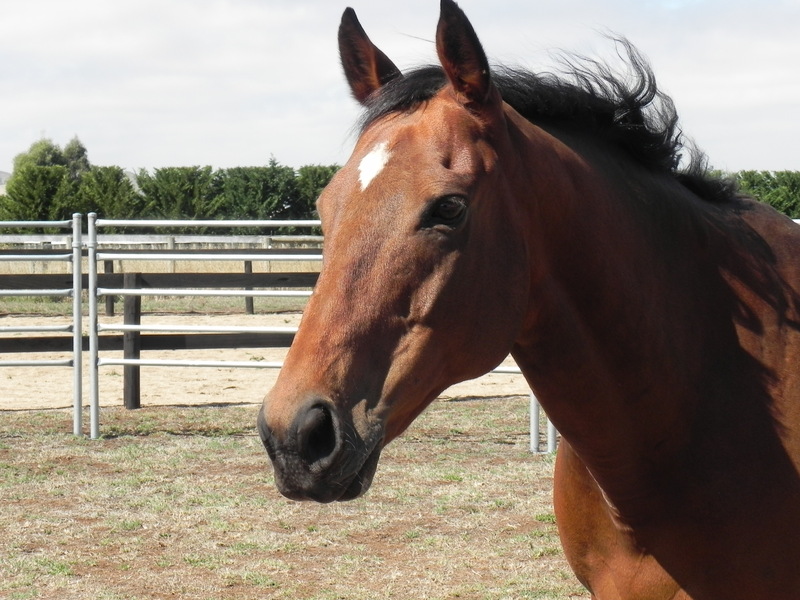 I lived with my own fire horses, Walker and Jaffa, (pictured above) through one of the most challenging times of our lives – the Victorian “Black Saturday” bushfires of 2009. On that impossible, out of control day I remember standing on the front decking of my burning house, catching glimpses of my terrified horses galloping though flames and smoke, knowing hopelessly that I could do nothing in that moment to help them. It was one of the most powerless moments in my life. Somehow we survived it all and in the aftermath I travelled the path to recovery with them both. Courage and resilience were constantly on display, as was a certain playfulness, once the first awful weeks were over and some safe routines had been established. 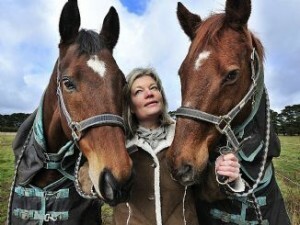 My horses rarely dwelt on the past but lived, mindfully, in the right now. As I watched them through this time, I came to realise that while the fire had marked us with its sooty fingers forever, it had also opened up a whole new range of possibilities. If our old life had been burnt to the ground, what could we now do with our new and as yet “unlived” life? And so the fire moved us all eventually to a new place and a new life. And once we were settled again, more transformations unfolded. For me? A book written and published, speaking engagements, a partner in life and a whole new circle of friends. And for my fire horses? A grassy sanctuary, an undemanding life, new herd members and finally some success in channelling me into the work they had always intended for me – helping humans with horses as partners. So my experiences have taught me that while I should be wary of big fires, there’s no need to be frightened of fire horses. They can be challenging – at any given moment they reflect back to you the truth of yourself, whether you are conscious of it or not – but they also consistently and lovingly point out what you really need to know about yourself and patiently wait for you to catch on. This is the path of evolving awareness and while it can be confronting and uncomfortable. it can also be transformational – it can literally change your life. In 2011, one of my original fire horses, Jaffa, passed on to the next big adventure. He left me whole lot wiser than I was and together with his lifelong pal Walker and the new herd members, able to move into the next phase of my life and help others with their own transformations.